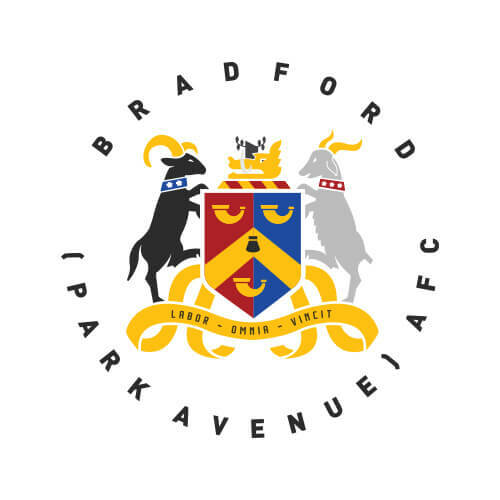 Bradford will be looking to bounce back on Saturday after an impressive run of 7 games unbeaten was brought to an end by an impressive Telford side on Tuesday night. “We’ve put ourselves in this position and we have to make it count. Avenue head into Saturday in a strong 5th place, 8 points clear of a pack of sides chasing a playoff spot. With just 18 points left to play for, a win for Bower’s side will mean Avenue only need 9 points to mathematically guarantee a chance to play for promotion to the National League. Mid table Alfreton travel to the Horsfall on an impressive run of form, having beaten league leaders, Chorley in mid February and picked up 9 points from 3 sides battling relegation before picking up a point against Spennymoor on their last outing. Despite this run of form, the visitors only have the remotest mathematical chance of attaining a playoff spot and would need to win all of their remaining games and have a considerable number of results go in their favour to do so. Read on to learn more about today’s visitors as well as other news from the club. Modern takes on the our historic kits are now available for sale via the club website. These modern replica shirts re-vitalise iconic kits of the past. Made from 100% Polyester, the shirts are as easy to look after as a modern kit whilst retaining the aesthetic of the originals. Names and Numbers can be added at no extra cost. Simply request your wording and number in the shipping notes when you place your order. Chettle came through the youth ranks at Nottingham Forest before joining Ilkeston FC in 2012, when he was just 15. He became Ilkeston’s youngest ever player at just 16. A move to Nuneaton Town followed in July 2015, making 25 appearances, scoring two goals. A string of standout performances followed for Callum during his time with Nuneaton and he soon made his step up into the Football League, joining League One Peterborough United in January 2016 on a two year deal. First team opportunities were limited for Chettle during his time with Posh, making just 22 appearances across 2016-2018. However in January 2018, Chettle was loaned to National League side AFC Fylde where he completed the remainder of the 2017-18 campaign. Callum is the son of former Nottingham Forest player Steve Chettle. Clackstone began his career at Hull City and came through the Tigers Academy; Josh was on the fringes of the first team in both the 2016/17 season and the 2017/18 season including several bench appearances. Josh was loaned to Notts County in January 2017 until the end of the 2016/17 season where he made eight appearances. A regular for Hull’s Under 23 side including captaining the team on numerous occasions, another loan move followed, to Halifax Town in November 2017. He was released by Hull at the end of the 2017–18 season. With only three home games left between now and the end of this season, the club shop is holding an end of season sale. Pick up your home and away shirt online today to avoid disappointment. For all other sale items, the club shop will be open at our home games against Alfreton Town (30/03/19), Nuneaton Borough (13/04/19) and York City (22/04/19).